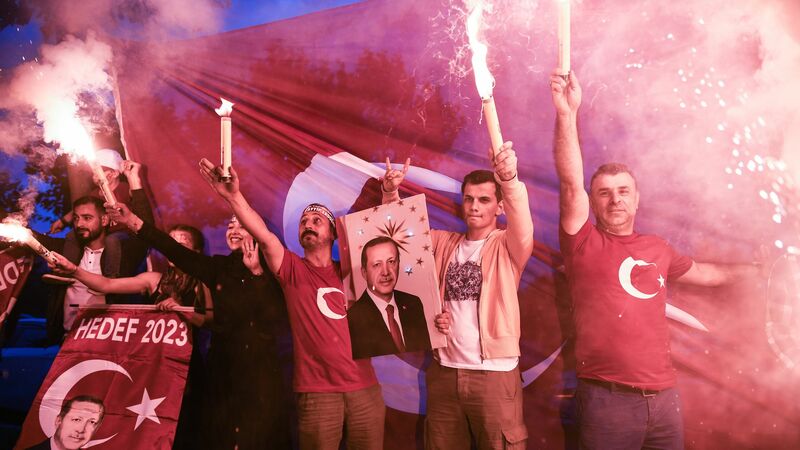 Erdogan's supporters celebrate outside the AK party headquarters on June 24, 2018 in Istanbul, Turkey. Photo: Jeff J Mitchell/Getty Images. Turkish President Recep Tayyip Erdoğan has ended a nationwide state of emergency that had been in place since a 2016 failed coup, weeks after winning re-election, reports BBC News. Why it matters: Extended seven times since 2016, the state of emergency allowed the Turkish government to dismiss more than 100,000 people from public office and arbitrarily imprison more than 50,000, including American pastor Andrew Brunson. Erdoğan assumed sweeping new executive powers after winning last month’s election, and appears to believe his position is sufficiently secure that further extensions of the state of emergency aren’t necessary.